This is the last week of school in Huntsville, Alabama. It marks the end of our family’s first year involved in the public school system. I feel myself breathing a huge sigh of relief. We made it! We did it! I’m certain I’m not the only parent (or teacher) breathing such a sigh. However, the end of the school year has caused me to reflect on where we’ve come. As I mentioned, this year was the first year to have a child in public school. As a mom of any child, during any period of time, there is some anxiety about sending your child to a strange place with strange people you don’t know (or at least there probably should be). I watch the news, I see what’s happening in our education system and my anxiety level was heightened. 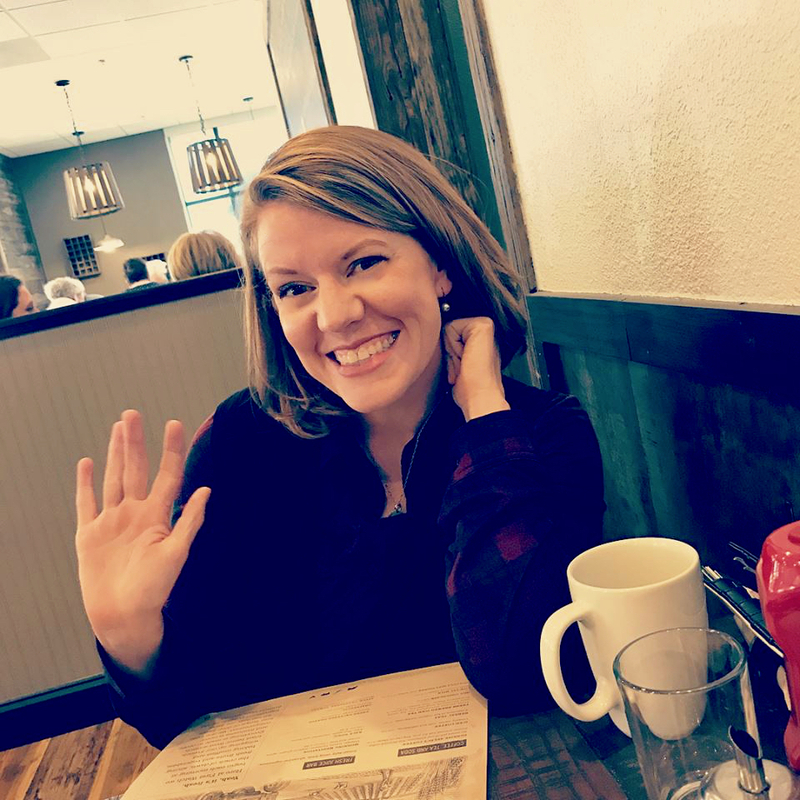 So, in preparation for my precious first-born daughter walking through the halls of our neighborhood elementary school last August, I spent a considerable amount of time on my knees. I prayed very specific prayers for her teacher–the person that would influence my child throughout the course of the year in more ways than academically. I didn’t know her name, I didn’t know if she was a she. I didn’t know how she spent her weekends or in what condition her marriage was in. I didn’t know how much experience she had or if she was the kind of influence I wanted on my child at all. So, I prayed. I asked God for what I wanted. I asked for a teacher that would challenge my child. I asked for her to have a restful summer. I asked for her to be the perfect fit for my child. Do you know what happened? God answered in a big way. My daughter was assigned a teacher beyond my wildest imagination. I wasn’t sure they even still made this kind of teacher anymore! She was kind and firm and encouraging. She loves Jesus, has a healthy marriage and influenced my child in every way I could have hoped or dreamed. It was amazing. I couldn’t believe we could have such an amazing teacher. Kati Ann has grown academically and socially. She has been challenged and uplifted. But the year is coming to an end. Our first grade teacher isn’t moving up to second grade and the questions are already beginning to form in my mind. Who will teach my child? Who is this person that will challenge her? Will they love Jesus? Will they be harsh? Will they live a lifestyle that is foreign from the truths we’ve taught our daughter? And I find myself praying again. But this time I’m praying a different prayer. I’m not praying for the perfect fit for my daughter. Already that sounds crazy. Why would I not pray for exactly what I want? Because my wants have changed. I’m asking for more. I don’t want only the perfect fit for Kati Ann this year. God answered last time and gave me far beyond what I could have dreamed for a teacher. So, am I asking too much? No I don’t believe so. However, I am raising my expectations. I raising them for myself, for Kati Ann and for God. If I only pray for the perfect fit for Kati Ann, I’m allowing myself to look at the world through a pin sized hole. I’m only seeing the effects of God’s hand on her life. However, I want to see something bigger. I want to see God’s Kingdom work through my child’s life. So, instead of asking for the perfect fit for Kati Ann, I’m praying for the perfect fit for God’s Kingdom work. I’m praying for the teacher, no matter his/her lifestyle, level of experience or attitude. I’m praying for the children that will sit beside my child and walk alongside her in the hallways. I’m praying for the God’s Kingdom to come down in the classrooms and hallways of Farley Elementary. Am I concerned about Kati Ann’s education or the influences on her life? Concerned in the sense that I care? For sure. However, I pray that if when the time comes she encounters a teacher whose attitude toward teaching falls short, we’ll recognize the divine invitation for God’s glory to be shown. I’m going to continue to pray for Kati Ann’s teacher’s summer, her relationships and her personal life. I’m going to pray for energy, health and wisdom. But, instead of praying for what is best only for my child, I’m going to pray a bigger prayer. I’m praying for the perfect teacher to challenge Kati Ann spiritually. My prayer is that she will not be challenged only academically but she will be trained to be a light shining God’s love on those around her. 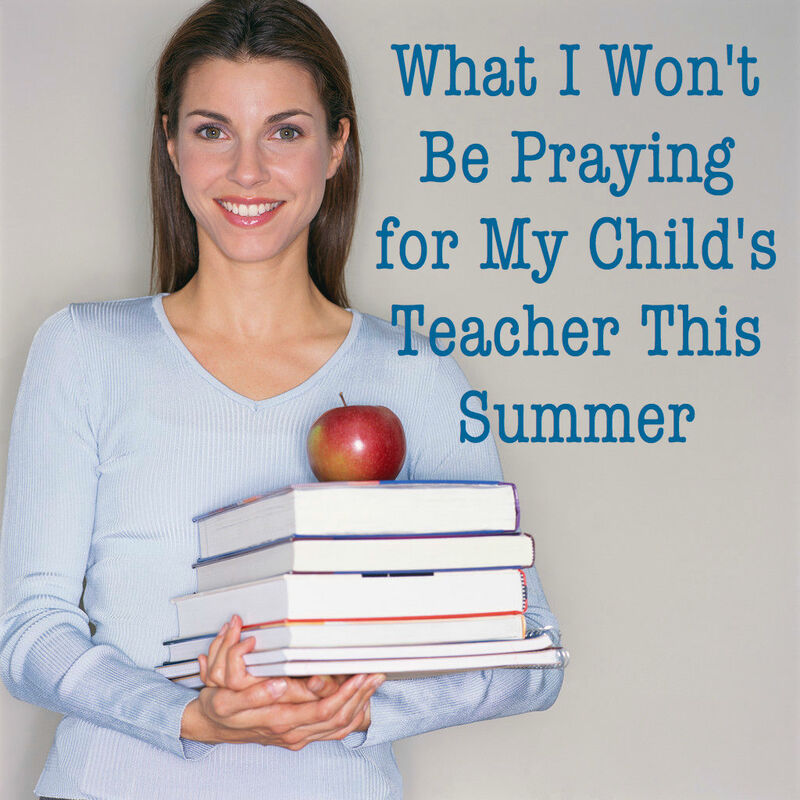 Would you join me in praying BIG prayers for our teachers this summer? I’m talking the scary kind of prayers that puts Jesus in the driver’s seat where He belongs. Will you pray for God’s glory to show up in the halls of our schools? Will you pray these prayers for your own children, grandchildren, and neighbor kids? Will you commit to praying this summer for those teachers that are carrying His light into their classrooms? Will you pray for the teachers that so desperately need a touch from Him? 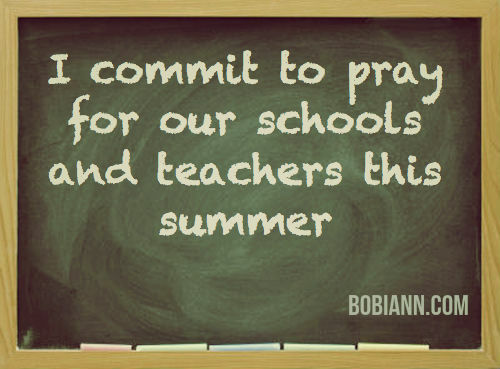 If you would join me in committing to pray for our schools this summer will you tweet from the link below, pin this blog, or post this image on your Facebook page? Bobi Ann, I loved reading this because this has been my heart and our practice throughout my kids’ years in school, and like you, God has always answered our prayers beyond our wildest expectations and hopes. For the majority of the time, their teachers have been believers (and often Willowbrookers ;-D ) and some have been a spiritual blessing to my kids even in public school. I’ve had teachers pray with my kids when my dad was battling cancer, when my son Jonny was in PICU with RSV, when Robert’s dad passed away. I’ve have gotten all of my kids in on the prayers and we pray all year long – whether it’s for the teachers for the next year whom we don’t even know about (but God dies! ), or the teachers in the midst of the school year. It has given my kids trust in their teachers because they know they did not wind up in that teachers class by random chance – it was God’s design. It has given them empathy for their teachers – helping them to see situations, even frustrating ones, from the teacher’s perspective and not just their own or their friends’. It has helped them have more respect for their teacher. How can you pray for someone and not gain respect for them. Even when there may be frustrations about the teacher, they know God is in control and God wants them to respect authority in their lives. And don’t forget to pray for the other school staff as well. My kids have also been impacted by the office, cafeteria and custodial staff, and the parent volunteers. And I pray my kids will be a light of Jesus in their schools, offering a smile, a heart of gratitude and respect, kindness to the outcast, respect for property, and an excitement to learn and discover. Thanks, Bobi Ann, for the reminder and encouragement to pray! I remember my mom telling me she prayed this but I didn’t understand until I had my own! Good to have partners praying with me. As a future teacher (only one more semester of classes to go), I want to thank you for praying this way. Our teachers need it, and our children need it. I’m constantly praying for my future students, praying that it will not be me teaching them, but God. Knowing that you are interceding for the students and staff at your school before God is very uplifting, and I can only hope that there will be a parent who will have similar prayers for the school where I end up, my fellow coworkers, and the students we’ll be teaching. Jessica, I will only pray more. Having children certainly opens ones eyes to the spiritual struggle happening in our world. Thank you for being on the front lines for our kids. Aren’t you glad God used me to assign that wonderful teacher. I KNEW YOU WOULD LOVE HER!!! Joy, you & God did good! As a teacher, I want you to know that I pray that I can be the teacher that each child needs. In addition to praying for specific students whose needs I become aware of, I pray that God will bless me with the wisdom to see which child needs me to be more patient, which one needs me to be stern (not in a spirit-crushing way, but in an encouraging way–if that makes sense), and which child needs me to be silly. I pray for discernment, and that I will be a blessing in each child’s life, as well as their family. Finally, I pray that I can show them Jesus in my actions (public school, soooo). It is a privilege (and an awesome responsibility) to be entrusted with the education of these precious children! Thank you for encouraging others to pray for teachers! I am a soon to be third year teacher. The past two years I have tried and prayed to be that teacher to my students. It pains me that it is not always the case. I make mistakes. I and for some students I just don’t feel I am doing them justice. It is difficult and my greatest fear is letting them (and you the parents) down and not being that teacher for them. It gives me comfort to know that your prayers are there not only for us in our best moments and when we are the perfect fit for your child, but also when we mess up or do something you don’t agree with or even are that teacher you wish your child didn’t have. With grace and mercy we can be more of the former and less of the latter. I faithfully pray for the teacher that will influence my child. I pray that they will be part of helping my child grow into the woman and man God created them to be. I know God uses every experience and I trust that for their teachers as well. I’m a teacher who just stumbled across this blog by accident. As I read it, tears began to fall. I pray often that God will show me how to keep Him first in my life in every way, and will also use me to help others -including students, faculty, staff, and their families- to develop or deepen their own relationships with Him. It’s very touching spiritually and emotionally to know that there are parents out there who support educators as you do, but even more importantly, also foster the spiritual growth of their children. Thank you for your prayers, your understanding, and your willingness to share them with others! Dee, thanks for reaching out. I, do, regularly pray for my children’s teachers. I’m already praying daily for the teachers they will have in the Fall. Because I’ve vocalized to their past teachers that I’m daily praying for them, God has allowed me sweet relationships where they continue to share with me how I can pray for them even after my child is no longer in their class. 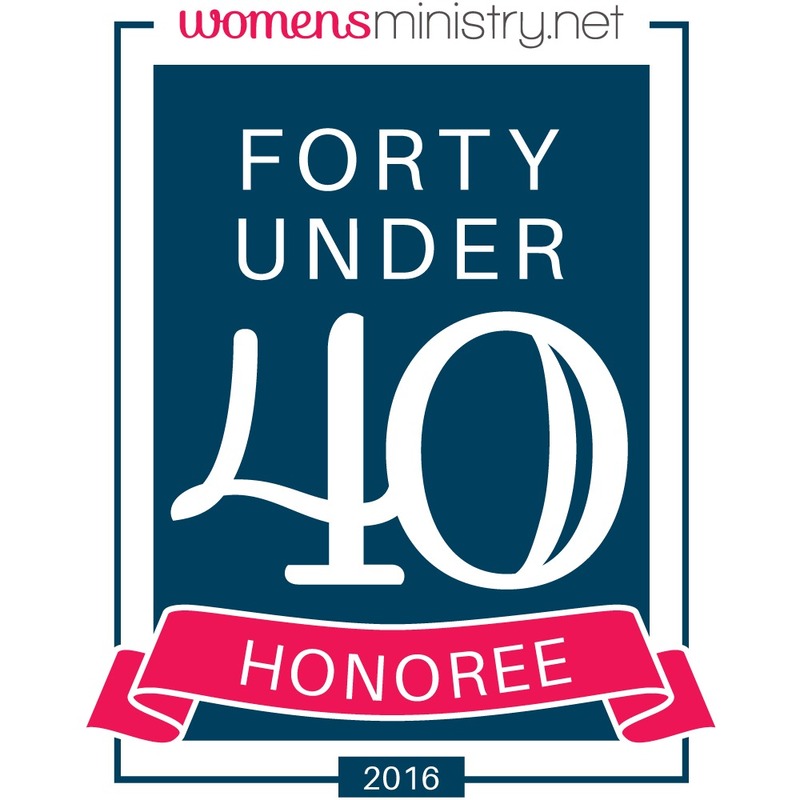 What an honor to be part of lifting you up as you influence young lives.